These Wowsomes bars have a soft vanilla flavoured centre mixed with oat cereal and coated in white chocolate. So how do they taste? It states that two of these constitute a serving. For someone greedy (like me) the whole 80g box constitutes a serving. 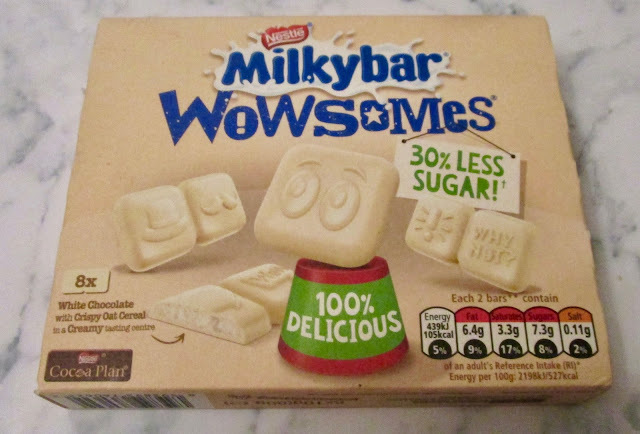 My first impression was that these Wowsomes are really quite tiny. Hardly Wow on opening, but “good things come in small packages” so they say… In fact I tell that to Cinabar all the time… On taste their texture is like a soft chocolate bar with a hint of oat biscuit. Much of the sweetness comes from the vanilla centre and decent coating of white chocolate. They do have a soft centre, with crispiness from the mixed in oats. They do taste good, and are weirdly filling, which always surprises me where oats are concerned. I don’t think you’d go far wrong having a couple of these for a white chocolate breakfast treat or an after meal desert filler. 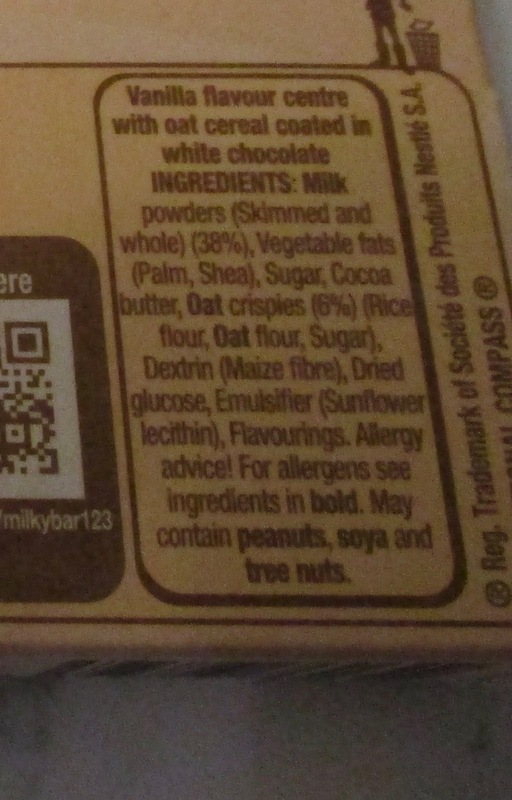 The 80g box contains 8 bars with each two bars containing 105 calories, with 6.4g of fat, 7.3g of sugar, and 0.11g of salt. Please see photograph for ingredients.